The conservation of biological diversity is a key principle of the North Sea Ecosystem Approach to management. 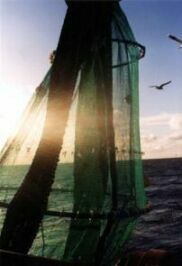 Fishing is perhaps the most widespread impacting activity in the North Sea and thus there is a clear need to inform managers of the consequences of their actions on diversity. MAFCONS aims to close the gap between our understanding of the community structuring processes that drive variation in diversity of fish and invertebrates and the mechanisms through which fishing affects these. Ultimately, the overall aim of MAFCONS is to provide the scientific advisors to fisheries managers with the mathematical tools that would allow them to quantify the consequences to groundfish and benthic invertebrate species diversity of achieving particular fisheries objectives. These tools will be based on rigorous testing of hypotheses based on a sound understanding of the ecological theory underpinning marine communities.